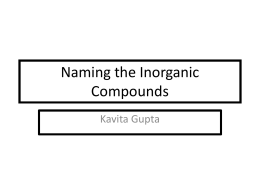 each kind in an ionic compound. Ex Al2O3 has 2 atoms of Al and 3 atoms of O.
H in a molecule of octane. have a high electronegativity difference. 1). Write the symbol and charge for the cation. 2). 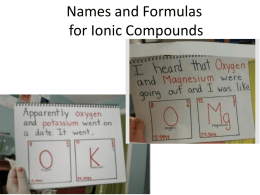 Write the symbol and charge for the anion. 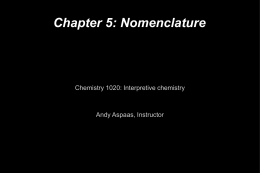 become the subscript for the other element. are the same, they cancel completely. 5). If the subscript is 1, do not write anything. 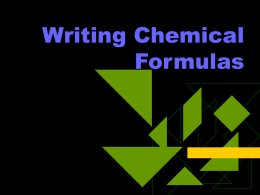 Write the formula for calcium iodide. Write the symbol and charge. Cancel and don’t write 1’s.  Complete packet page 1 and 8.
one cation, do not include a Roman numeral. 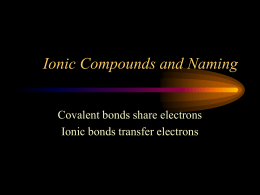 writing ions side by side.  Write symbols with charge. The prefix poly means “many”. 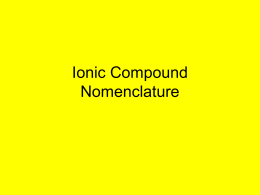 Most simple polyatomic ions are anions. 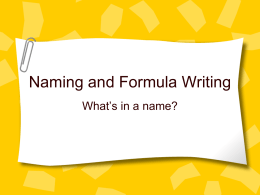 formula, so you can tell its polyatomic. 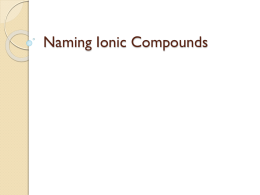 polyatomic ions in the compound. If a single atom, use the periodic table.  5. Reduce (simplify) and erase ones.  6. DO NOT ADD< SUBTRACT, MULTIPLY, OR DIVIDE. Just criss cross and reduce if necessary! 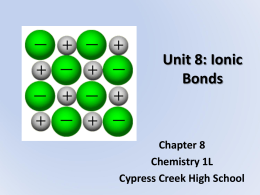 the formula for Lead (II) hydroxide.  1. 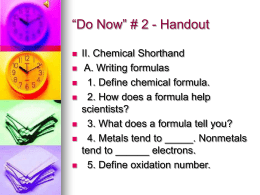 Write the symbol and oxidation number. Criss cross charges and drop signs. 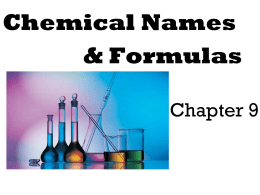 the formula for ammonium sulfate. 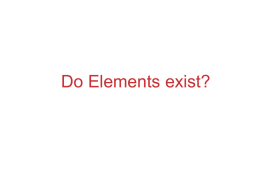  Don’t use mono on first element. order that they appear in the name. each element in the molecule.  If there is no prefix, there is only one atom.  Remember, do not criss cross. This is binary, H and Cl. Follow rule #1.
and name. Ending is -ate so change to -ic. acid, you can figure out the anion.  Criss cross oxidation numbers and drop signs.  Reduce and drop 1’s.